Studying abroad is a great educational and personal experience for those who participate. Some of the costs of these programs can be paid with your eligible financial aid funding. At CSUF there are many programs that students can participate in across the globe. You can find more details about this from the Study Abroad office in International Programs. If you already know the study abroad program you are interested in you can see below what types of financial aid you may be eligible to receive while participating in that program. Below we have some of the frequently asked questions that relate to Study Abroad and Financial Aid. You can also save a copy of the FAQs for Study Abroad . Q: How does the financial aid process work with study abroad? A: The Study Abroad Coordinator collaborates with the Office of Financial Aid’s (OFA) Special Programs Counselor by sending a list of participants to the OFA along with estimates of the program costs. The Special Programs Counselor will review these costs, update students’ budgets with allowable educational expenses, and make any necessary adjustments to the student’s financial aid award. The student would be notified via campus email of any changes to their award. Studying abroad during summer/intercession is not advisable, as financial aid is typically not available. Q: How will my financial aid award change if I study abroad? For students participating in a Non-CSUF study abroad program, only federal aid is applicable towards study abroad costs (ex., Federal Pell Grant & Federal Direct Loan, etc.). For students participating in a Chancellor’s Office – OR – a CSUF study abroad program, both state and federal aid is applicable towards study abroad costs (ex., State University Grant, Cal Grant, Federal Pell Grant, & Federal Direct Loan, etc.). Please note: if your program costs are lower than the standard budget for attending CSUF during the semester, your financial aid eligibility and award may be reduced. In most cases, the program costs are higher than the standard budget and so your financial aid eligibility may potentially increase. Increased financial aid eligibility typically allows for you to borrow more loan funds. It does not usually increase your eligibility for grants. Q: When will my financial aid pay out? Who will you send it to? A: Based on federal regulations, accepted financial aid funds are released no earlier than 10 days prior to the session start date of your program for each term(s) abroad. 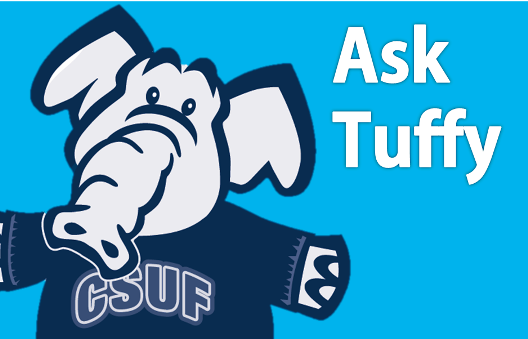 If you are participating in a Chancellor’s Office – OR – a CSUF program, your funds will normally be applied toward your tuition and fees. If your financial aid award exceeds the amount of your tuition and fees, the remaining funds would be sent to you via direct deposit or paper check. If you are participating in a Non-CSUF program, your financial aid funds will be sent to you via direct deposit or paper check. Your program fees would not be deducted prior to disbursement, which means that you will be responsible for using the funds to pay for your program fees and educational expenses while abroad. Q: What if I need more money to pay for study abroad program costs? A: If your accepted financial aid award is not sufficient to cover your program and you are unable to pay out-of-pocket, you may consider borrowing outside alternative loans. You can apply for an alternative private loan through the lending institution/bank of your choice. If you are a dependent undergraduate, your parents may apply for a Federal PLUS loan on your behalf. If you are a graduate student, you may consider applying for a Federal Graduate PLUS loan. Learn more about, including how to apply for, a PLUS or Grad PLUS loan. Q: How long can I study abroad and continue to receive financial aid? A: There are limits to how many semesters you may use financial aid for study abroad purposes. If you anticipate studying abroad for an extended period (more than 1 year total), please contact the OFA at (657) 278-3125 or at our location UH-146. For more information about CSUF Study Abroad Programs click here .